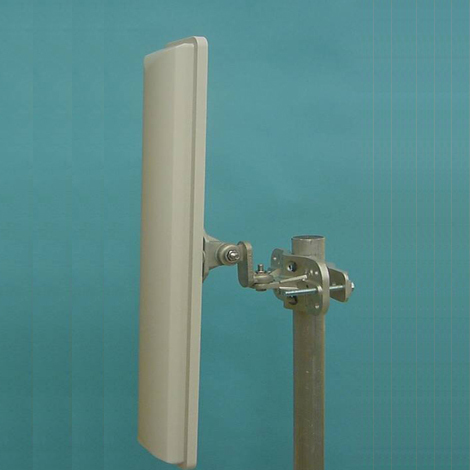 MARS 90° Broadband Sector Antenna provides a cost effective solution for large scale WLL, WLAN, H-LAN, ISM, UNII, Public Safety, Municipal MESH Networks and Point-to-Multi-Point applications. Stable performance with 17 dBi of gain. Small size allowing for easy blending with any environment. Tilt mount allowing quick and easy installation.